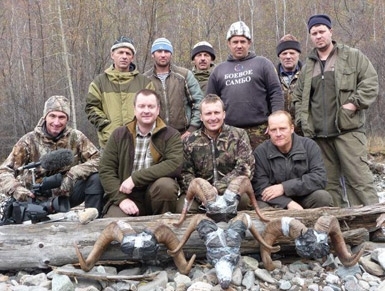 We are really excited to offer our clients a fantastic NEW hunting opportunity in the Russian Yakutia region of eastern Siberia. This region encompasses a huge area of the largest country on earth and stretches up into the Arctic Circle with pristine totally wild country that every hunter dreams of. 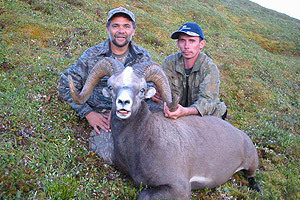 This region has the largest population (40,000) of snow sheep, being the Yakutia snow sheep. 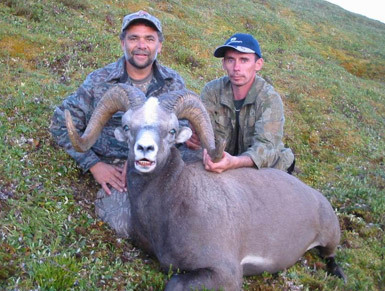 This is one of the 4 huntable species of snow sheep to inhabit eastern Russia, the other 3 being Kamchatka snow sheep, Okhotsk snow sheep and Koryak snow sheep. We are able to organise hunts for all 4 species. Our new area in the Yakutia regions also has an abundance of moose, brown bear and caribou also wolf when the opportunity presents. Please note these moose are not the giant Chukotka moose and are more comparable to central Canadian moose with trophies from 50 to 58 inches. The brown bear are also similar to interior grizzly found in the USA and Canada and not the large coastal brown bears of Kamchatka Peninsula. We can customise this hunt to suit any preference, we can offer 7 day hunt (12 days including travel) for single species either sheep or Moose with add on bear and caribou. Or for those wanting a combination hunt for sheep, moose, bear and caribou we are able to offer a 13 day hunt (18 days including travel). For hunters wishing to do this hunt in 2015 we have openings for 4 hunters from September 5th and for those wanting to hunt in 2016 we have 2 hunts available for 4 hunters in each group. First hunt will start September 5th and the second hunt will start on September 23rd. The hunting area is close to the Arctic circle so be prepared for some cold conditions with day time temps in September 3 degrees to – 5 C.
Like all sheep hunting this hunt is a physically challenging one, and like all our mountain hunts we urge our clients to undertake a rigorous training regime at least 6 months prior to the hunt and right up to your departure date. 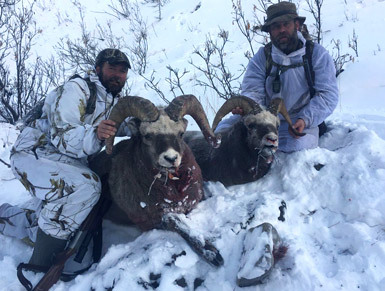 Having said this there is an abundance of high quality rams available and if you are fit and willing to put the effort in there is absolutely no reason why wouldn’t connect with a trophy ram. Success is above 100% as a second trophy is available to those wanting to take one. 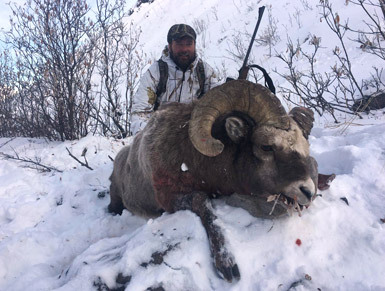 Last season 7 hunters over to hunt periods took a total of 9 rams. A minibus is provided to take the group to the village of Handyga a journey of some 400 km where you will overnight at a local hotel. Next day it’s a further 300 km by road then 75 km in an all-terrain vehicle to the hunting camp. A wooden cabin is provided in base camp that will house 4 hunters and the customary Russian sauna is provided for washing. Food and drinks are provided by the local guides and whilst this is not 5 star it’s wholesome and filling and what you would expect in hunting camps around the world. These prices are the best you will find for this type of hunt and provides true value for your dollar. 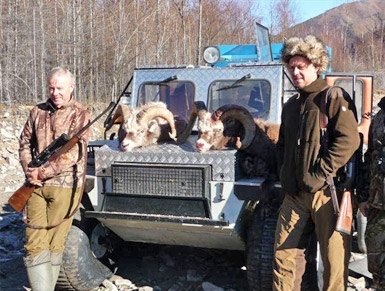 We are able to offer this hunt at such a reasonable price due to a few factors, firstly the record exchange rate of the Russian Rubble to the US Dollar, secondly we are dealing direct with the outfitter and no middle man, and thirdly we are not using Russian helicopters to access the hunting area. This can double or triple the price of the hunt with the hourly charge out of around US$15,000 per hour. Access to the hunting area will be in ex-army troop carriers and it may mean a little more walking from base camp and back but it means the difference of an affordable hunt for the average hunter!